So many people I know complain about setting up Christmas trees and decorations, but I love it. There’s something special about bringing out boxes of decorations and family treasures filled with memories to wrap up another year. Our Christmas tree is quite a production that I’m still putting the finishing touches on. 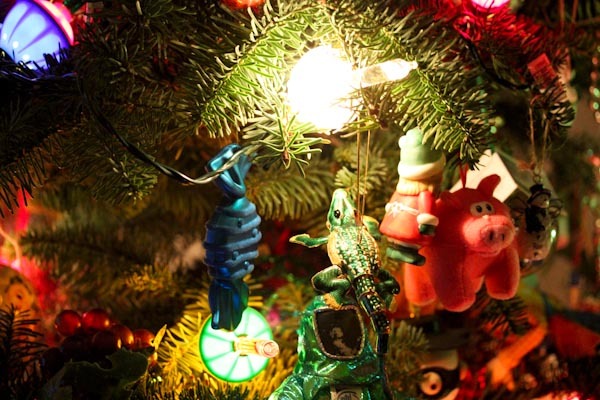 I probably have enough ornaments to fill two large trees and most of them are classics passed down in the family for generations, toys from my childhood, or ornaments tied to happy memories over the years. Many of the freebees I got while working in computer sales, like the Intel bunny suit dolls, have been converted into ornaments. Also my collection of 80s happy meal toys. 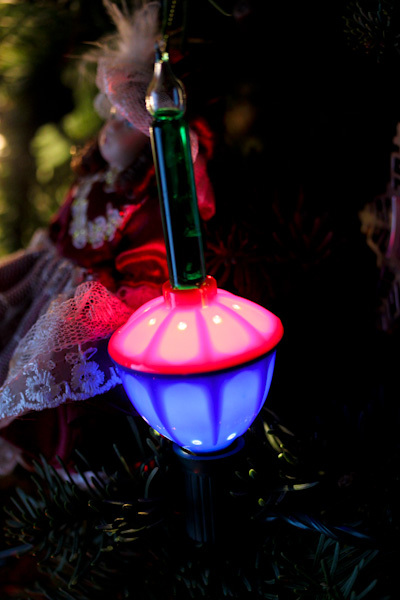 And bubble lights, oh how I love bubble lights! After the long Thanksgiving weekend of decadent eating, I’m trying to get back to healthy basics and cheaply since the holidays can be pricey. 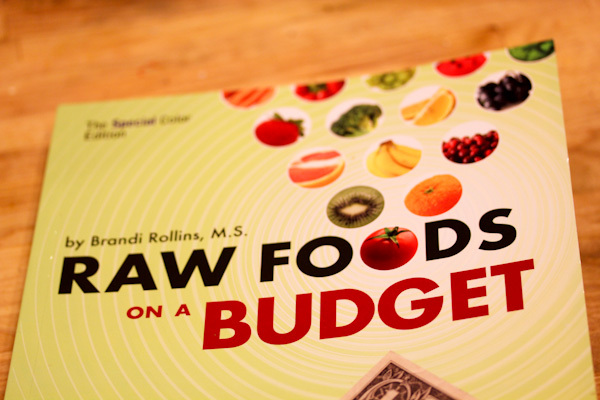 So I’ve been diving into my Raw Foods on a Budget book for inspiration. 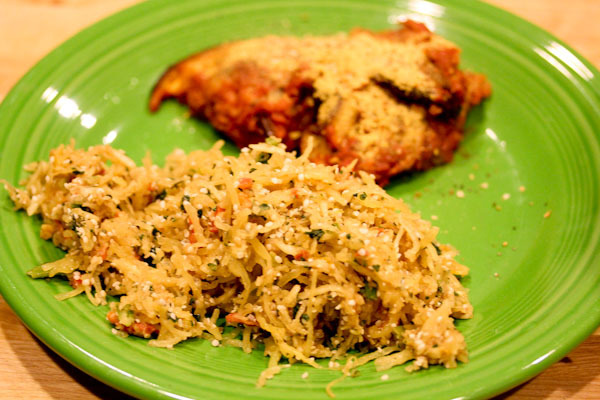 And came across a recipe for a Italian spaghetti squash side that had me curious – is raw spaghetti squash possible to enjoy? Well, it’s tough to scrape out raw! 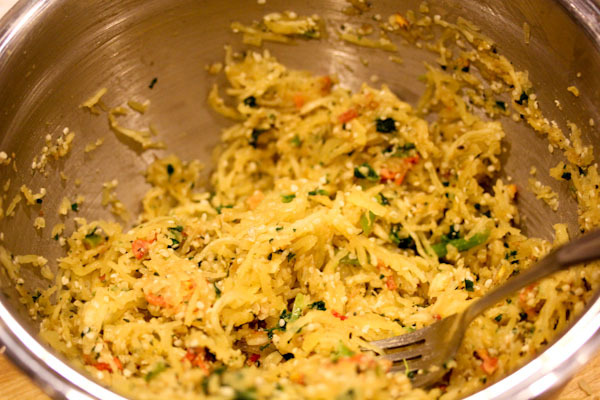 The recipe instructions had me scrapping out the raw squash with a fork to create a spaghetti squash “rice” and it was very labor intensive. It might have been easier to just shred the squash pieces in a food processor, but I managed to get most of the squash scrapped out. Then mixed the squash “rice” with chopped kale, hemp seeds, chopped sun dried tomatoes, nutritional yeast, salt, and a seasoning blend to produce a rice/slaw dish. That went perfect with my marinara eggplant leftovers. 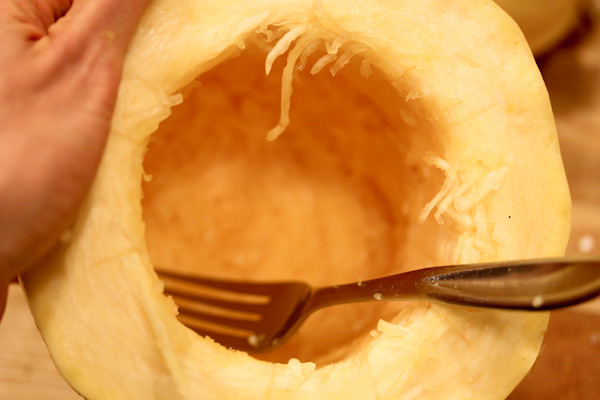 While scrapping the squash was an interesting experience, it’s actually delicious raw and mixes easily with seasonings and other flavors by hand. The dish had a crunchy and hearty texture that was very filling. And a nice garlic kick with a rich Italian flavor. What I like about the book is it breaks the costs of the ingredients down for each recipe while getting realistic about what ingredients do not need to be organic to save money. I tried to maintain that theme tonight making a simple dinner using what ingredients I had on hand. One that needed to be used up soon was a chunk of broccoli, but I have issues finding and creating raw vegan broccoli recipes that I actually enjoy because it can be bitter and harsh on the digestive system. 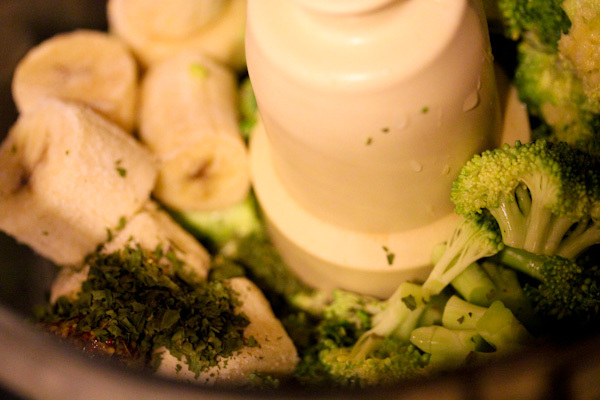 I got inspired by this broccoli puree recipe to create a raw vegan version. What I didn’t like about the recipe was how labor intensive it is and the amount of dairy and sugar it uses. So I got creative with a banana and hemp seeds for a faster raw version. 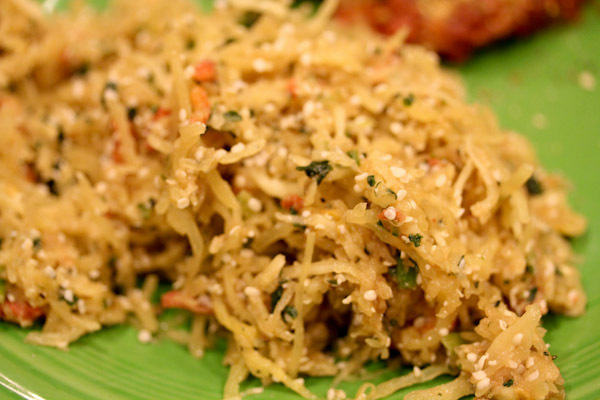 Place all ingredients into a food processor and process into a smooth and creamy texture. Makes 2 servings. It’s an easy and fast recipe to throw together and can be placed into a dehydrator for up to 30 minutes to warm up if desired. 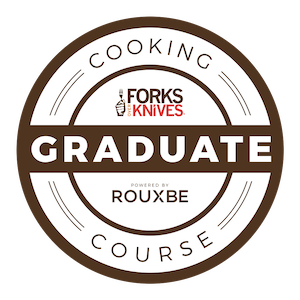 The texture of the puree is smooth and silky. 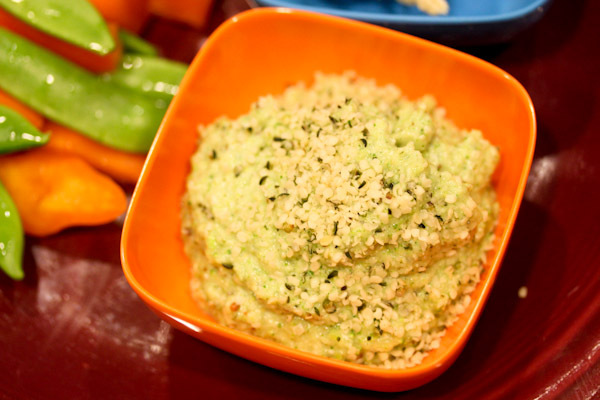 It works great as a mashed potato alternative side dish or a hummus-like dip. 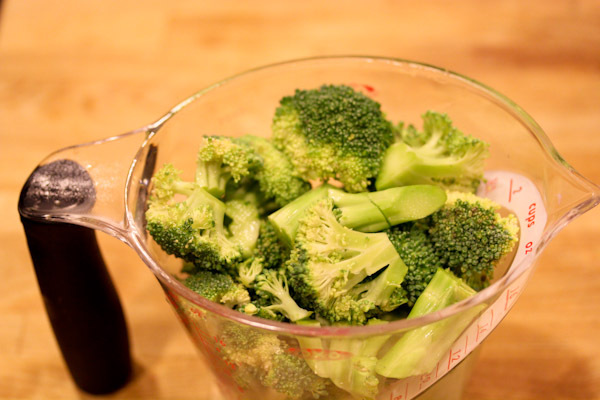 The flavor is really unique and delicious being slightly sweet and smooth, not bitter or gritty as some raw broccoli recipes can be. 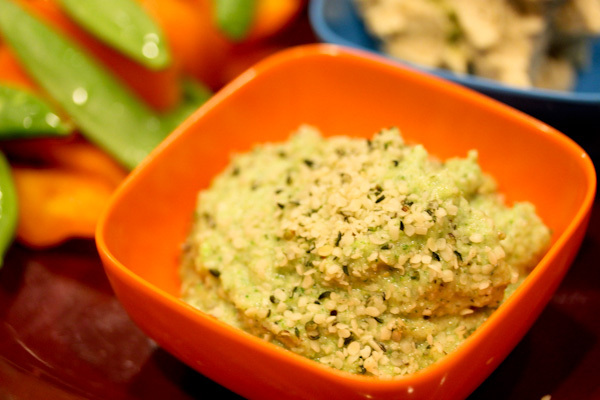 The banana adds a smooth texture and sweet flavor too counter the negatives of raw broccoli creating a tangy and sweet dip that even kids might like. I love decorating the tree too! I’ve been collecting Christmas decorations for my babies since they were born, that represent things we’ve enjoyed doing or places we’ve been through the year. I’ve attached a little explanation to each decoration. I hope that when they’re old enough they’ll appreciate it!! Or they might just see it as a random collection of junk! !